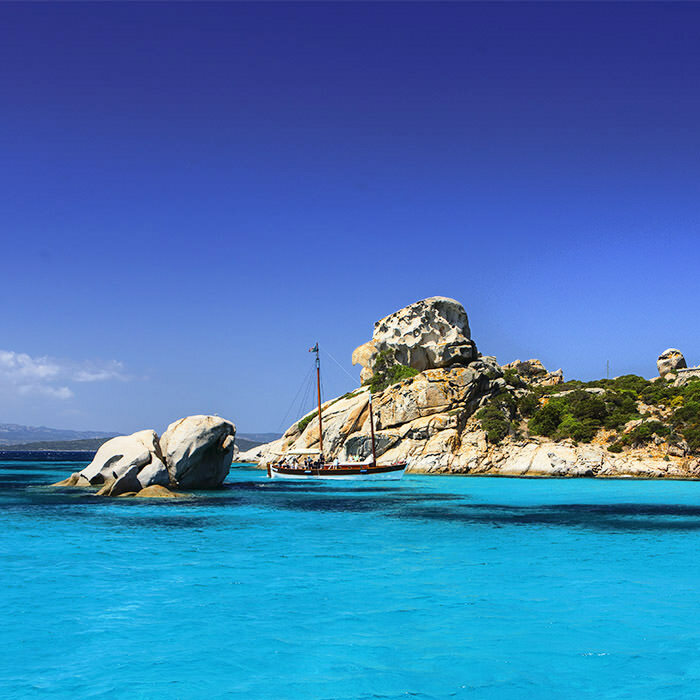 The pearl of the Mediterranean and the most beautiful beaches of the La Maddalena Archipelago that you have to see during your holiday in the North of Sardinia. Considered one of the most evocative landscapes anywhere in the world, the La Maddalena Archipelago is at the extreme tip of Northern Sardinia where the uncontaminated nature, intense scents of the Mediterranean maquis and the turquoise sea with its infinite shades of blue come together to create a marriage of rare beauty. 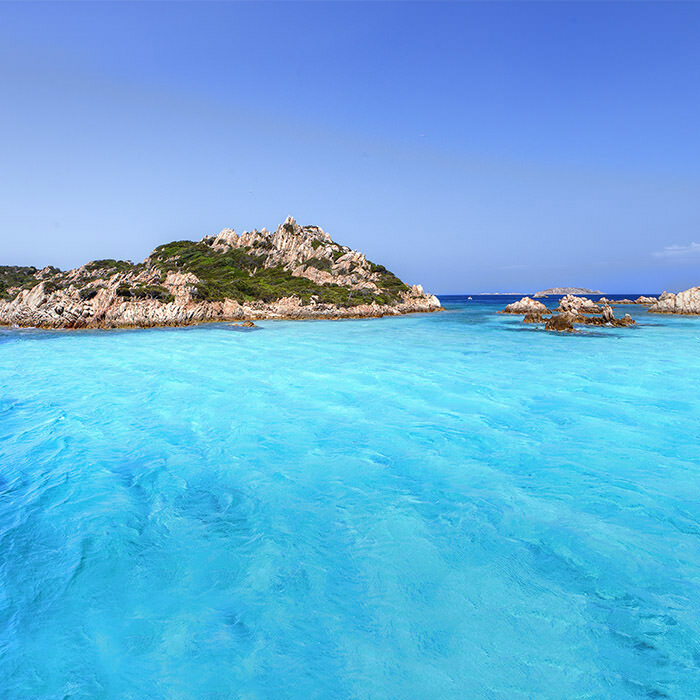 The jewel known as the La Maddalena National Park has 60 islets and outcrops in total but there are 7 main islands, La Maddalena, Caprera, Santo Stefano, Santa Maria, Spargi, Budelli and Razzoli. La Maddalena is the largest of the islands and is home to the main town, a quaint fishing village that in 2017 celebrated the 250th anniversary of its founding. 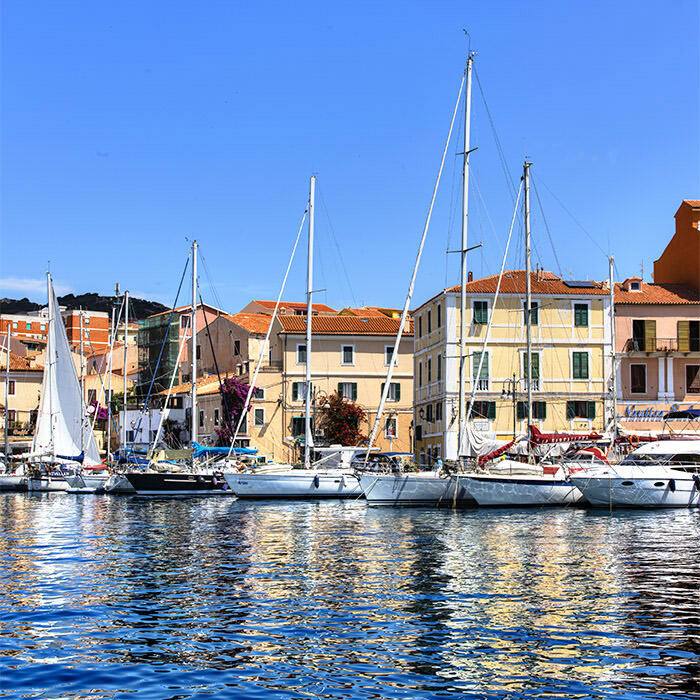 Narrow streets and alleyways intersect and lead to the Cala Gavetta tourist port, passing between historic buildings, restaurants and boutiques where you can find the best souvenirs and taste the delicacies of the local cuisine. 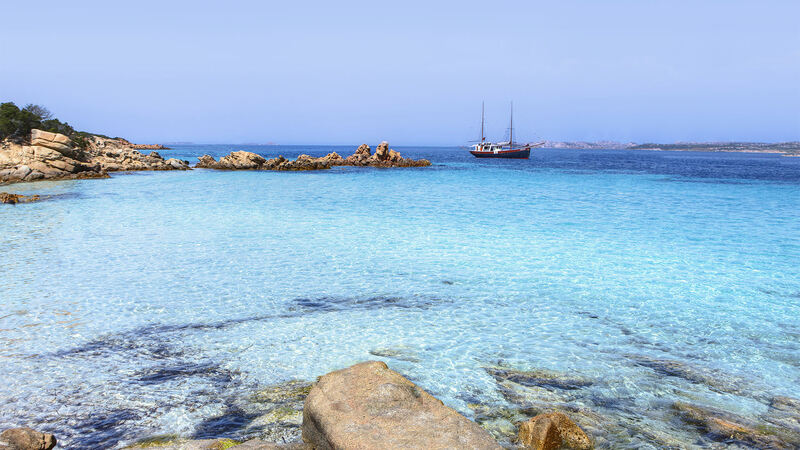 La Maddalena is reflected to the east by the twin island of Caprera, an enchanting place both from a naturalistic point of view and also due to its outstanding historical value as having been the home of Giuseppe Garibaldi for the last 25 years of his life. The Compendium Garibaldino with its tomb of the hero of two worlds and the Giuseppe Garibaldi Memorial, a multimedia journey through his life, are definitely top of the list of things to see in La Maddalena and are the perfect diversion between one swim and another. Words cannot do justice to the beaches of the La Maddalena Archipelago. All it takes is one dive into the crystal-clear waters and a walk along the fine white sand to fully understand the astonishing beauty that this corner of Sardinia offers the visitor. 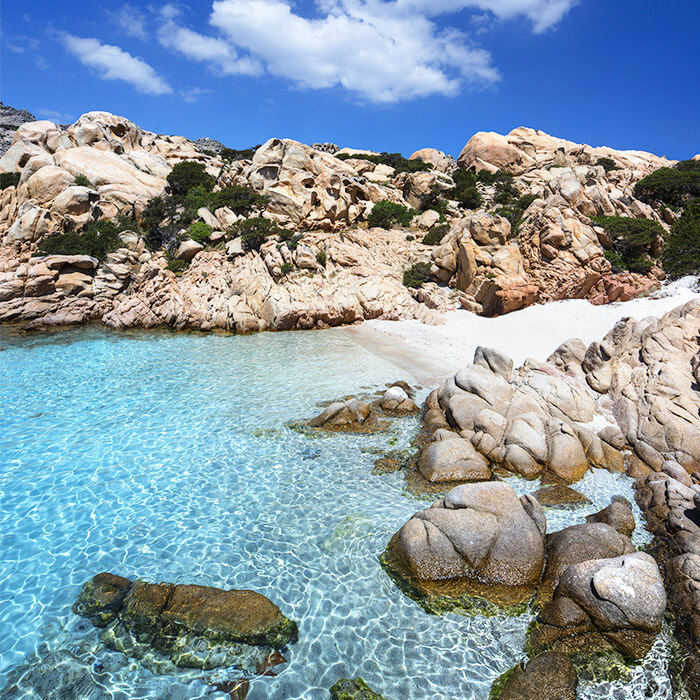 The 45 km perimeter of La Maddalena Island is dotted with beaches that have an irresistible charm and panoramic views that could grace the cover of a magazine. Cala Spalmatore, Bassa Trinita, Punta Tegge and Cala Lunga are the best known on the island, some having been repeatedly awarded Blue Flags by the FEE. On the nearby island of Caprera the granite rocks slope gently down to the beaches of Cala Napoletana and the Spiaggia dei Due Mari. Cala Coticcio, known by the name of Tahiti for its Caribbean colours is another beach not to be missed along with the Spiaggia del Relitto, so called for the old wreck now half-buried on one side of the beach. Continuing our tour of the islands of the Maddalena Archipelago we arrive at the island of Spargi. Like the beaches of Cala Corsara, Cala Soraja and Cala Granara, the island seems to be inhabited by strange anthropomorphic rocks sculpted by the wind over thousands of years. As you arrive from the sea, you will be able to make out the profiles of the witch, the bulldog-shaped rock and little Italy. Instead on the island of Budelli, facing the mirror-like sea enclosed between Santa Maria and Razzoli is the Cavaliere beach, an oasis frequented during the summer months and notoriously known as Manto della Madonna. A pure untouched veil with delicate and infinite shades of transparent turquoise touches the shore and the brightly shining rocks. The Delphina hotels between Cannigione, Palau and Santa Teresa Gallura are perfect for enjoying unforgettable holidays in the La Maddalena Archipelago. The Island of Caprera is just a few minutes sailing from the Resort Cala di Falco and the Hotel Capo d’Orso while the Park Hotel Cala di Lepre is only 4 kms from the tourist port of Palau from where the ferries go non-stop to the island of La Maddalena. Looking at the horizon from the Resort Valle dell’Erica, the island of Spargi is just a stone’s throw away and easily reachable by boat trips departing from the resort. Whether for half a day or a whole day, don’t miss out on an extraordinary trip to the islands of the North of Sardinia!